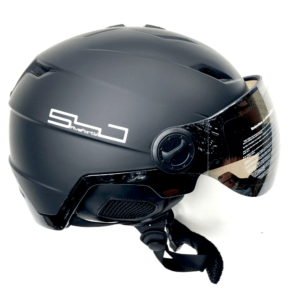 The Snowjam Neptune Ski Helmet Matte Black 2019 is a half shell freestyle design meant to take some hard knocks and come back strong. The Snowjam Neptune Ski Helmet Matte Black 2019 is a half shell freestyle design meant to take some hard knocks and come back strong. Built to absorb shock, comparable to most other more expensive helmets on the market with some cool additional features. A removable separate liner pops out for washing. You can also remove the liner and use your beanie inside as well. Padded chin strap adjusts for the perfect fit. Ear pads allow ventilation allowing you to also hear outside noises for safety. These are also removable for Spring conditions. Adjustable dial fit system. ABS shell offers superior protection while being lightweight, you may not even notice its on. 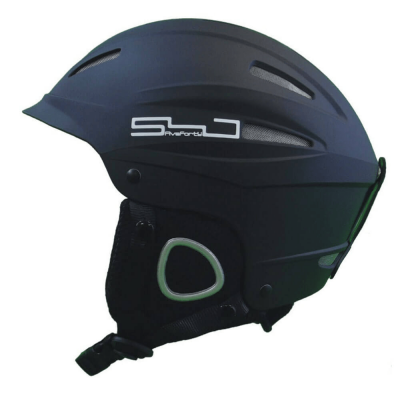 Snowjam Neptune Ski Helmet Matte Black 2019 includes air channels inside the helmet to ensure air reaches your head, helping you keep your cool when you’re riding hard. Two front switches open and close for more air flow. Certified to meet both European and American standards, this versatile shell helmet protects your noggin all season long.